While it’s not an official deal price, Amazon is still selling the Samsung Galaxy Watch for its Black Friday price of $259 – and is by far the cheapest option around for Samsung’s latest smartwatch. While the Samsung Galaxy Watch briefly dipped to $249 on Cyber Monday, most of the big name retailers spent the deals period battling it out over the $259 price point. But while most have rolled back to $279, there is one deal still available on Amazon, hidden amongst a host of more expensive options. That represents a $20 saving on the likes of Best Buy and Target. In fact, we've seen some issues with the link reverting to a different (more expensive listing), so if you're having trouble copy this into an Incognito window and you might just bag a bargain: http://geni.us/FBXYC [heads to Amazon.com]. If you need a reminder, this is Samsung's latest smartwatch, which comes in two sizes. There's both 42mm and 46mm models. The smaller 42mm model comes in two colors and offers less battery life than the bigger 46mm Galaxy Watch. Essentially, though, you're getting the same features on board here. Both have that rotating bezel, hardware features like a heart rate monitor and built-in GPS. 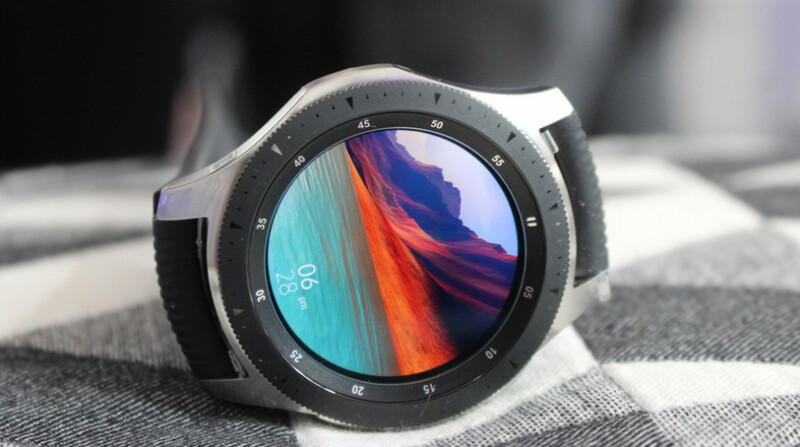 Don't rule out buying an older Samsung smartwatch, either - especially as Samsung has been good at adding new features to these devices through software updates. There's some good deals last year's Gear Sport, which was one of our favourite smartwatches we've tested and includes the same waterproofing and swim-tracking support as the Galaxy Watch. The $179 price tag over at Amazon represents a big saving, but don't get too excited, it's only as good as Best Buy and official Samsung.